Though the details have yet to be finalized, The Three Crowns Executive Board is excited to announce a name change for the program beginning next fall. We are also thrilled to confirm that the new proposed name to Three Crowns Curriculum will indeed be even more vague and pretentious-sounding than what it is right now. The program’s name change from “Curriculum II” to “Three Crowns Curriculum” earlier this academic year was met with confusion and general loathing by the campus community, and it is our full intention to capitalize on that hatred. The Three Crowns Curriculum prides itself on being more excellent than everyone else. Through numerous focus groups and brainstorming, the program committee has narrowed the possible names down to a final four, which are almost universally acknowledged to be the most arrogant and undescriptive from the original list. “The Adolphus Society” remains a popular choice among committee leaders and several students have confirmed that this name would indeed increase their animosity and lack of understanding towards the program even more. 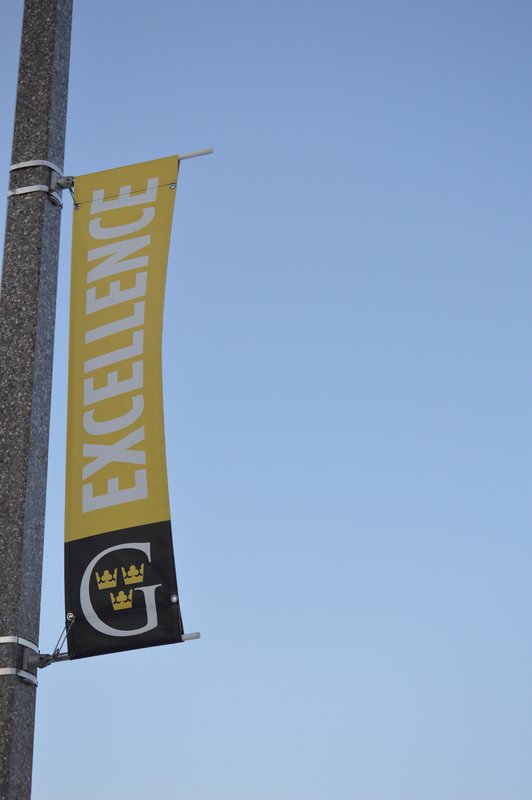 “GACIGES” (Gustavus Adolphus College Integrated General Education Studies) earned high marks for both its full name and horrendous acronym, which in focus groups caused fits of uncontrollable rage and was mistaken several times by students to be a sexually transmitted infection. Three Crowns offers students the opportunity to learn through an integrated core of general education classes while maintaining the illusion that they are somehow better than the rest of the students on campus. The program coyly refers to itself as “not an honors program,” yet fosters a conceited and exclusive ethos typically reserved for academically rigorous, application-based groups. The students in the program follow a set list of courses each semester, remaining with their fellow classmates and further alienating themselves from the poor saps stuck in the ordinary curriculum. Students can elect to switch from Three Crowns back to the normal CI curriculum, but Three Crowns shall not be tainted by the filthy blood of those immoral beings who have been touched by the devil’s breath of Curriculum I. Thou accurs’d students, stricken in thine inferior learning, repent for thy blasphemous practice a’fore the god that shall judge ye. Domminus spirictus sancti. Trium regnum aliquam, in aeternum. EDITOR’S NOTE: At press time, the committee was still agonizing over whether the names “Coterie Academia” or “The Vanguard” would be more universally hated by students.